Are you looking for information about homeschool class rings? Homeschooled teens are now celebrating their accomplishments in many of the same ways traditional high school students have celebrated. They receive diplomas, hold graduation ceremonies, attend proms and even wearing home school class rings. Though homeschooled, your teen has excelled academically, participated in extracurricular activities and made good friends. A homeschool class ring can be a great lifetime reminder of these fun high school years. When purchasing a home school class ring, consider cost and design options. Here are some tips for choosing a homeschool class ring. 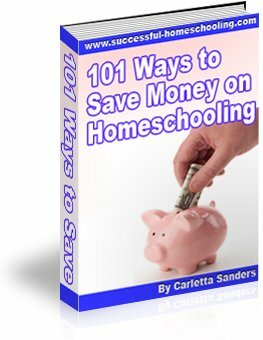 Homeschool class rings don't have to be expensive. If you are a part of an organized home school group, you may be able to order as a group and receive a discount. If not, determine how much you would like to spend and research local and online jewelers. If you purchase a ring from a company that specializes in class rings; you'll have a wider range of design options. However, discount stores like Wal-Mart offer a great selection of class rings that are extremely affordable and can be personalized. If you choose to order a ring online, you'll need to know your teen's ring size. The simplest way to determine ring size is to visit a local jeweler and have an associate size your child's ring finger. You can also find do-it-yourself ring sizing tips online. Class rings may be purchased as gifts for home school graduates, but teens also enjoy designing them on their own. Symbols of favorite hobbies or sports. Some teens feature their graduation year and initials on top of the ring. Others simply display their birthstone or favorite gemstone on top and have their initials engraved on the inside of the band. Different jewelers will offer different options, but all will ensure that your teens receive uniquely beautiful class rings they will cherish along with fond memories of everything you taught them.